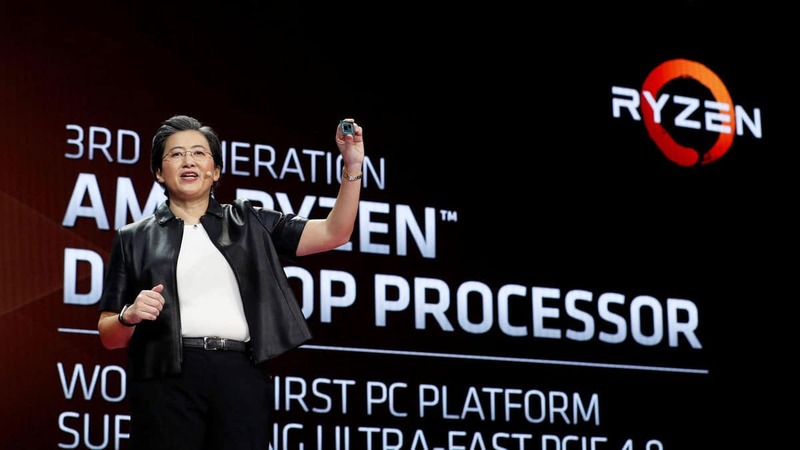 When Lisa Su walked on the stage during CES 2019, there was a lot of hope she’d unveil the entire lineup of the Ryzen 3000-series CPUs based on the Zen 2 architecture. That didn’t quite happen, and instead, we got news of the AMD Radeon VII GPU. Still, Lisa Su hinted at some of the performance expectations we can place on the Ryzen 3000 series processors. Even without AMD’s official statements to fuel the hype, there’s still a lot we know about the Ryzen 3rd generation CPUs, and a lot more has been leaked about it, including the pricing and the specs of the processors. Of course, these are all just rumors, so one can only take them with a grain of salt. Regardless, certain rumors have been backed by multiple sources, and there are many others that seem to make sense based on AMD’s pricing trends and promises. So, here’s what we already know about the Ryzen 3000 series of CPUs. Ryzen 3000 is based on the Zen 2 architecture. The original Zen architecture was what the 1st Generation of Ryzen processors were made from. Zen+ was an incremental improvement over the original Zen architecture, and it’s what gave birth to the Ryzen 2000 series of processors released last year. The Zen 2 architecture is vastly different, as this is an entirely new iteration with major changes. The die size has shrunk from 12nm of the Zen+ to 7nm, and this is not just a rumor. 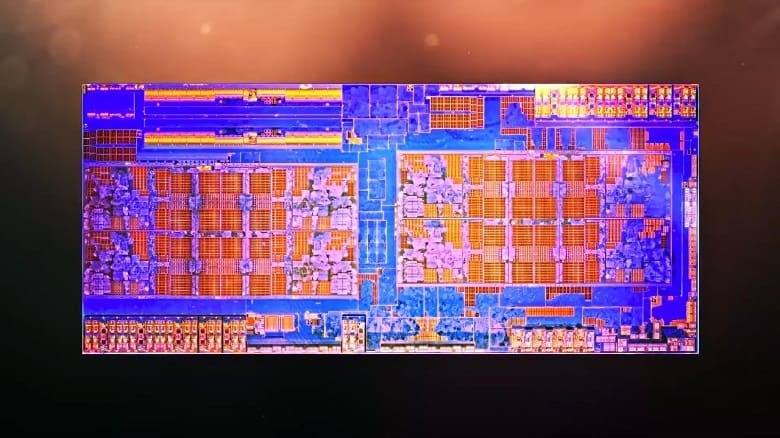 This is will make Ryzen 3rd generation desktop processors the first ever CPUs to be built on the 7nm process node. AMD Ryzen 3000 will also notably be the first desktop processors to support PCIe 4.0 x16 out of the box. However, it’s important to note that for the time this will only influence storage systems and not graphics cards. AMD is looking to increase the IPC (instruction per clock), the clock speeds, and the core count on the Ryzen 3000 series while simultaneously reducing their power consumption. The company is already ahead of Intel in the consumer core count and multithreading performance at the moment, but their objective with the Ryzen 3000 series processors is to compete or even beat Intel in the single-core performance department while maintaining the extremely competitive pricing that has made the Ryzen CPUs so popular. We know for sure that the Ryzen 3000 series CPUs will have at least the same subcategories of processors, i.e. Ryzen 3, Ryzen 5, and Ryzen 7. There is also heavy speculation of Ryzen 9 processors that will compete with the Intel Core i9 9900K in single-core performance yet comfortably beat Intel’s current flagship consumer processor in core count and multithreading performance. Lisa Su, the CEO of AMD, confirmed that the firm is looking for a rough release date of mid-year of 2019. Additionally, in CES 2019, AMD showed an engineering sample of an 8-core 16-thread Zen 2 processor that beat the Intel i9 9900K in a Cinebench R15 multi-core run. Perhaps the most impressive aspect of this sample was that it succeeded in doing so while consuming 47 watts less than Intel’s flagship processor. To ensure the competition was fair, AMD made clear that both processors had been cooled using the capable Noctua NH-D15S cooler, leaving no possibility of thermal throttling on the Core i9 9900K. Unfortunately, this is all the irrefutable information we have on the Ryzen 3000 processors. Everything else beyond this is based on leaks and rumors. As mentioned earlier, Lisa Su announced during CES 2019 that AMD was looking to release the Ryzen 3000 series processors around mid of 2019. Because of the major shift to the 7nm architecture, there is heavy speculation that the official release date of the Ryzen 3000 processors will be 7/7 or July 7, 2019. While this may seem like mental gymnastics to some, it actually makes sense, given Computex 2019 is a great platform for AMD to officially announce the specs and pricing of the Ryzen 3rd generation processors, followed by a full release in early July. Additionally, according to Red Gaming Tech, the “reliable” source who looked the rumored release date of the new processors also stated that the announcement will a combined one for the Ryzen 3000 CPUs as well as AMD Navi graphics cards. It is important to remember that AMD’s Navi GPUs will also have a die size of 7nm. Now here comes the juicy and fun part. Bear in mind that everything listed from here onwards is entirely based on leaks, rumors, and “sources”. This means that you should take everything with a grain of salt until AMD officially releases the specs, pricing, and performance overview of all their Ryzen 3000 series processors. According to a YouTuber named AdoredTV, the Ryzen 3000 CPUs will come in not three but four “tiers”: Ryzen 3, Ryzen 5, Ryzen 7, and Ryzen 9. Ryzen 9 and 7 will have two processors in the lineup, whereas Ryzen 5 and 3 ill have three processors. This will make a total of 10 different Ryzen processors if the leaks are to be believed. If these specs are to be believed, then the 8-core 16-thread processor that AMD showed in competition with the Intel Core i9 9900K during CES 2019 would be the Ryzen 5 3600X. If true, that is some mighty impressive feats, given the Ryzen 5 3600X is only the mid-tier processor in this lineup. It is expected that AMD will look to compete heavily with Intel’s rumored Comet Lake processors that the company will likely release in Q4 2019, with the Ryzen 9 processors competing in performance with the 10th generation Core i9 processor(s), the Ryzen 7 with the 10th Generation Core i7 processor(s), and so on. Regardless, with the current generation architecture, it seems AMD will once again comfortably beat Intel in the core count aspect, with a significant increase in IPC and base clock speeds thanks to the shrunken die to just 7nm. If accurate, the core count on offer with these chips are far greater than Ryzen 2000 CPUs and comfortably beat even the most powerful Intel 9th Generation CPUs. Clock speeds are comparable to the fastest Intel processors, with boost speeds far faster than what you’d get on the Intel processors given how they work. We’ll talk more on that in the performance section though. Clearly, the range of processors on offer is much broader than Ryzen 2nd generation. It is unclear if all these processors will be released at the same time, or if certain processors will be available for purchase on a later date. We personally think it will be a staggered release for at least processors like the Ryzen 9 3850X and perhaps one of the two APUs. AMD is also simultaneously expected to release their 500 series of motherboard chipsets with these processors. The good news is that Zen 2 processors will work on current AM4 sockets with a simple BIOS update. AMD has pledged to continue use of the AM4 socket through 2020, so even the older 300 series motherboard chipsets should remain relevant till at least Ryzen 4000 CPUs. The most astonishing aspect of these leaks are not the specs (which themselves are simply incredible), but the pricing of these. AdoredTV released the pricing information along with the chip specs, and that completed the entire picture for everyone. These prices are certainly compelling, and in certain sections outright jaw-dropping. Based on these prices, a 6-core, 12-thread processor is now purchasable for less than $100. This was would an industry first if true. We’d caution users to take these prices with a grain of salt since they seem too good to be true. However, certain price points seem to be in line with AMD’s pricing scheme. Ryzen 7 3700X, for example, is priced at the same MSRP as the Ryzen 7 2700X when it was released. It’s also important to note that Ryzen 7 2700X was priced cheaper than the Ryzen 1700X when both processors’ release prices are compared. The Ryzen 9 3850X, in particular, has a price that just seems to good for its performance. With 16 cores and 32 threads – all running at least at their 4.3GHz base clock speeds – the Ryzen 9 3850X would not only be $50-70 cheaper than the Intel Core i9 9900K but beat it by miles in multi-thread performance and at the very least match it in gaming performance thanks to the high clock speeds. It seems the sweet spot for most gamers and content creators will once against be the 3600/3600X. The Ryzen 5 3600 once again seems to offer the best performance per dollar value, costing just $178 yet offering 8 cores and 16 threads at a respectable 3.6GHz base clock speed. If the given pricing and specs are true, this year could be dominated by AMD processors, especially if the IPC of the processors has improved enough to match Intel CPUs for comparable results in gaming performance. Some of these numbers don’t make much sense (why would an 8-core 16-thread 3600 consume less power than a 6-core 12-thread 3300X despite higher clock speeds? ), and the TDP values are less convincing than the actual specs or even the pricing. This is especially true if one considers the unnamed 8-core 16-thread processor that was pit against the Core i9 9900K during CES 2019. The Intel Core i9 9900K consumed around 179 watts while the unnamed Zen 2 processor with 8 cores and 16 threads consumed 133.4 watts. The latter processor’s numbers (both in thread count and TDP) simply don’t match with the rumors. Either the leaked total power draws of these processors are incorrect, or the Ryzen 9 3850x has 8 cores and 16 threads instead of the rumored 16 cores and 32 threads. We’re inclined to believe it’s the TDP numbers that are inaccurate. Still, it’s important to remember that the engineering sample at display during CES 2019 was actually an unrefined and unoptimized one, so we may see TDP closer to what this leak suggests. Having said that, it’s well known that AMD will indeed increase the IPC along with introducing various front end advances to greatly boost the performance of the processors. Improvements have also been made to instruction pre-fetching, branch prediction, floating point performance, and instruction cache – all of which could make a substantial difference in gaming. The rumored increase in IPC alone, according to rumors posted by Digital Trends, could be as much as 13 percent. That is simply staggering and rarely (if ever) seen even when jumping to a newer architecture. However, even a few percent gains in IPC will almost completely close the gap between AMD and Intel in terms of single-core performance. And single-core performance is where concerns for gamers lies. Improvement in IPC, higher base clock speeds, and more sustainable boost speeds should result in vastly superior performance in videogames. It’s worth remembering that AMD’s turbo boost system applies across all cores whereas Intel’s only applies across a handful of selected cores at a given time. If AMD’s turbo boost frequencies are true, we could see an immense performance in videogames without even factoring in overclocking. If we were to go by the numbers posted by the leaks, we’d predict the Ryzen 3700X to be the best high-end processor among the bunch for gaming. The Ryzen 9 3850X will likely be the gaming enthusiast’s CPU of choice, but the marginal performance difference may not justify the price difference between the 3850X and the 3700X.